LOS ANGELES, DEC. 9, 2016 – Tom Petty and The Heartbreakers, one of the most iconic bands in American music history, have announced the first dates of their 40th Anniversary Tour. Tom Petty announced the tour on SiriusXM’s “Tom Petty Radio” this morning and also on “The Tonight Show Starring Jimmy Fallon” last night: http://bit.ly/2giAGBr. The primarily U.S. tour, produced by Live Nation, will begin on April 20, 2017 in Oklahoma City and continues throughout the summer with more dates, including on the west coast, still to be announced. Joe Walsh will appear as very special guest on many of the dates announced today and Chris Stapleton will appear as very special guest at Chicago’s Wrigley Field and for two nights at the Marcus Amphitheater at Milwaukee’s Summerfest. Tickets for all of the newly announced shows, except for two concerts at New York City’s Forest Hills Stadium, will go on sale to the general public on Friday, December 16 at 10a.m. local time. 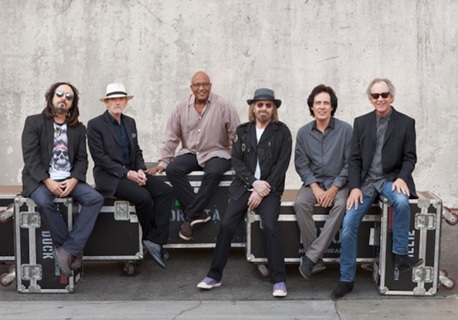 Special pre-sales for Tom Petty and The Heartbreakers Highway Companions Club members will begin Wednesday, December 14 at 10a.m. local time. To sign up for the Highway Companions Club, whose membership includes exclusive pre-sale access and other perks, fans should visit the club’s website. Further details on the band’s 40th Anniversary Tour and career-spanning vinyl box sets are available at www.tompetty.com .